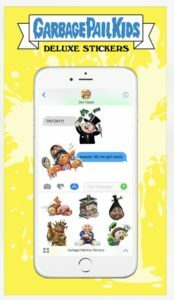 Topps Digitial today offered the forth installment of iMessage Stickers for iPhones. Garbage Pail Kids Deluxe Stickers features 20 new digitial stickers based on past GPKs. They are compatible with Apple iPhones and can be sent to others iPhones via iMessage. The sticker pack coats .99, and is available in the Apple App Store. Here are pictures of the new stickers and a partial checklist listed on the app store. Topps is back at it with the iMessage stickers for iPhones, with their third digital release. 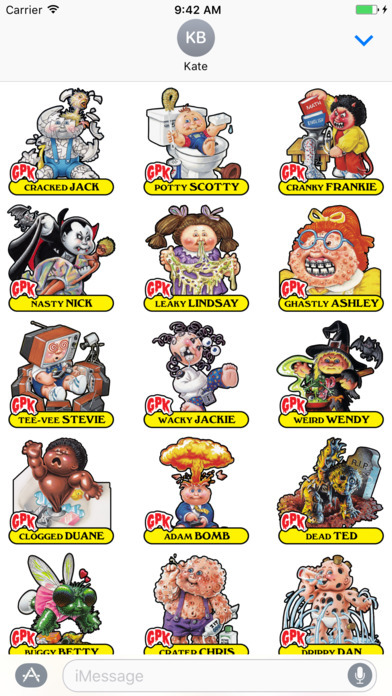 Yesterday, Topps launched Garbage Pail Kids GPK Vol. 2 iMessage stickers for Apple iPhones and iPads. The digital stickers are available for sale on the Apple iTunes App store for $1.99. This batch features a total of 29 stickers. 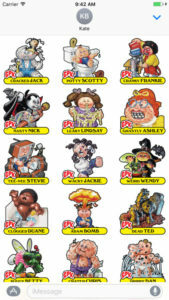 Included are 21 classic characters (Junky Jeff! 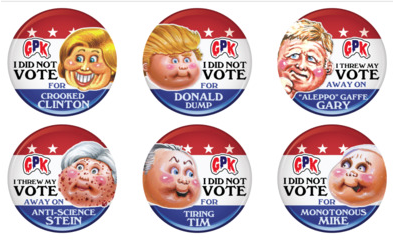 ), as well as 8 holiday themed GPK stickers. 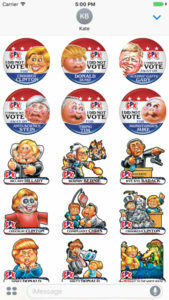 While these can be sent to Android phones, the digital stickers can only be purchased and used on Apple iPhone or iPad products. Here is the checklist along with pictures of the stickers. 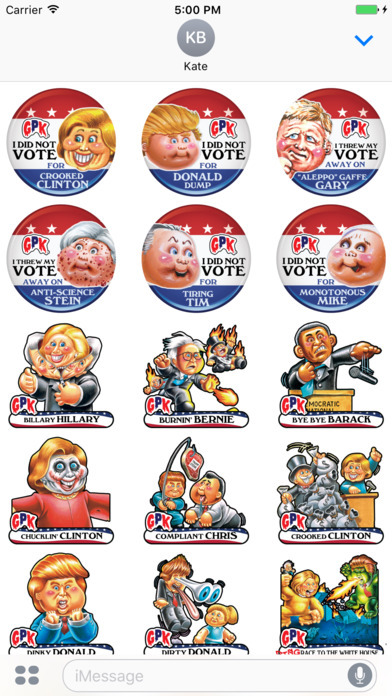 Without much fanfare Topps silently updated their Garbage Pail Kids GPK Election Stickers app to version 1.1 on Sunday. 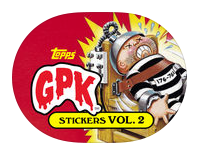 Thanks to GPK collector, Jason Bowens, who first pointed out the updated app. The app, sold in the iTunes app store, is compatible with Apple iPhone and iPad devices using iMessage. When the app launched on 10/24 it included 21 iMessage stickers depicting art previously used on various presidential election online exclusive cards. The newly updated version adds six new “I voted” parody stickers featuring the 4 leading presidential candidates and the two main vice president candidates. This is new artwork that hasn’t been offered on physical cards yet. 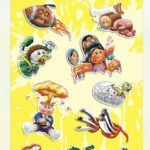 Here are pictures of all the stickers now available on the app. 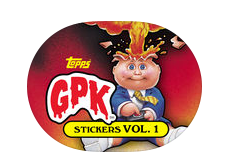 Just after releasing the first digital GPK sticker pack for Apple devices last Friday, Topps Digital is at it again. 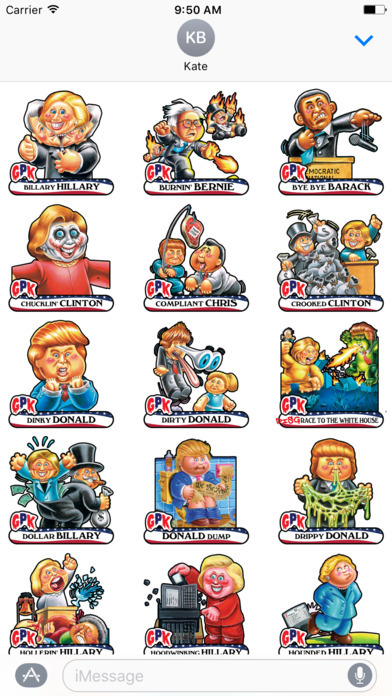 Today they released Garbage Pail Kids GPK Election stickers. 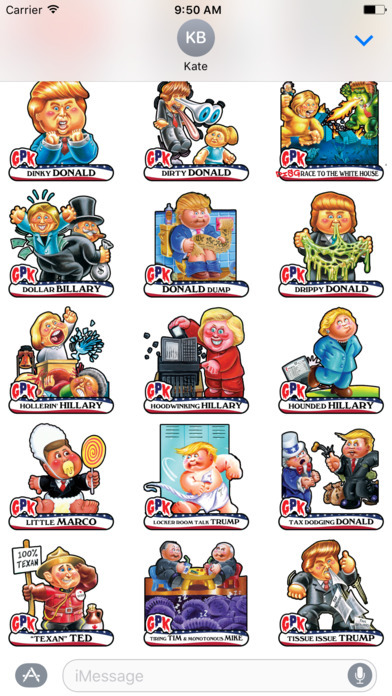 The stickers feature gags found in the exclusive online trading card sets released earlier in the year. The sticker pack contains 21 stickers, and can be purchased for $1.99 in the Apple App Store. The stickers will only work on iPhones and iPads via iMessage. See below for pictures of the new stickers. 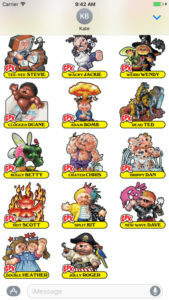 Topps today launched Garbage Pail Kids GPK Vol. 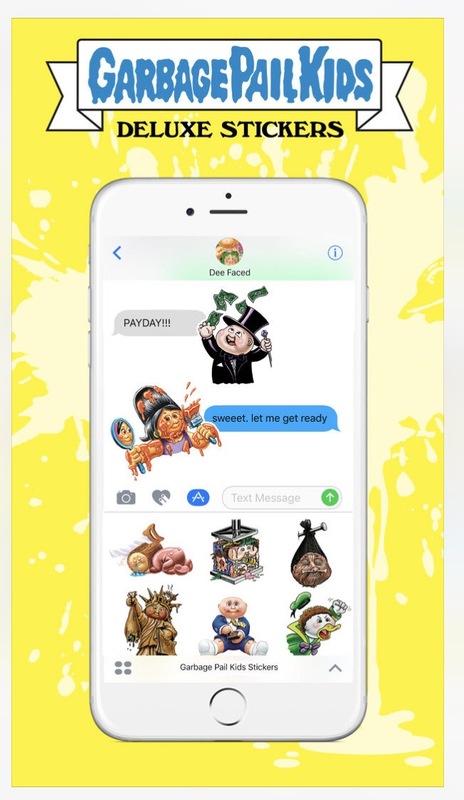 1 iMessage Stickers. Released by the Topps Digital branch of the company, these digital stickers are designed to work with the iPhone and iPad using iMessage. The pack comes with 20 stickers comprised of OS 1 & 2 characters. The pack can be purchased for $1.99 via the Apple App Store. 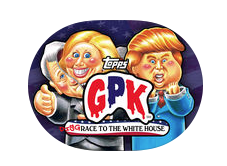 This is the first GPK digital offering by Topps, who also creates a number of very popular digital card collecting apps for mobile devices. As evident by the “vol. 1” designation, it looks like more packs will be forthcoming. In fact the information on the app store says they want to hear from collectors on what they want in future packs. Here is the checklist along with pictures of the stickers.